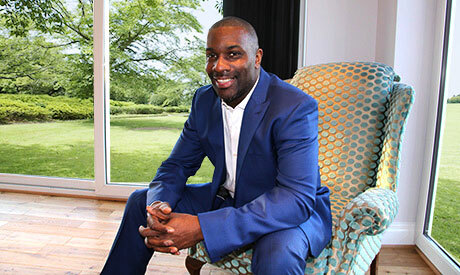 A two-time Olympian and former British, Commonwealth, European and World 400 metre sprint champion, Derek Redmond was and is a winner. But, despite everything he achieved, injuries tended to strike at the worst possible moments. Most famously in the 1992 Olympic 400m semi, when his hamstring and his dreams were torn apart. Whatever life threw at Derek, though, he came to understand his response to adversity held the key. So, he focuses on what he can control, not on what he can’t, to make sure he finishes his race. In this session, Derek will tell his gripping story and share how the skills he learned as a world class athlete can help you achieve your team and personal bests in the business arena. Derek Redmond was one of the country’s best athletes during the 1980s and 1990s. A key member of the relay squad that won gold at the 1991 World Championships in Tokyo, he competed at the highest level for over a decade. Having proved himself as a relay athlete, Derek went about trying to do the same as an individual runner. At the 1992 Olympics in Barcelona, representing his country he became part of one of the most inspirational scenes in Olympic history. In the 400m semi-final Derek went into the race amongst the favourites but as he passed the 250m mark he tore his hamstring. Determined to finish the race he hobbled to the finish line with the help of his father as a 65,000-strong crowd cheered him on. This incident has since been voted one of the Olympics’ most inspirational moments by US network NBC and even referenced by Barack Obama in a presidential speech. Derek’s story is truly inspiring and he now works as a motivational speaker sharing his remarkable story with audiences up and down the country. He has worked with a wide range of high profile brands delivering his inspiring stories from the track in corporate environments.